President Muhammadu Buhari on Monday appreciated Nigeria and said God did not make a mistake in bringing its people together. “Nigerians must appreciate God for bringing everyone together. We must appreciate God for bringing us together. He knows what He was doing. He didn’t make a mistake,’’ Special Adviser to the President on Media and Publicity, Mr. Femi Adesina, quoted Buhari to have said during a visit by the General Superintendent of Deeper Life Bible Church, Pastor William Folorunso Kumuyi, to the Presidential Villa, Abuja. 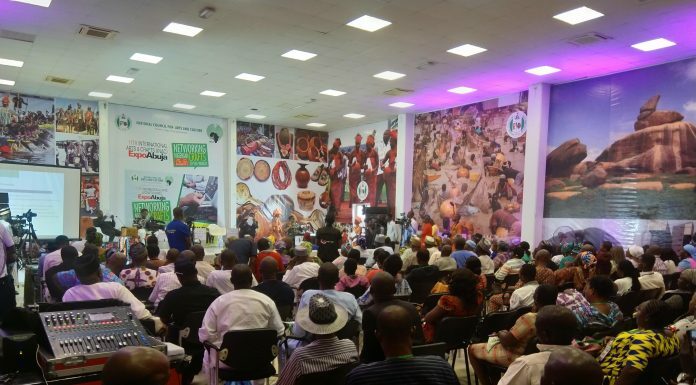 The president, according to a statement by his media aide, said God certainly made no mistake when he brought together 250 different ethnic groups to live with one another in a place called Nigeria, remarking that Nigerians must appreciate that. The president said he was elated by the man of God’s visit, adding it was uplifting for him. “My morale is raised by your visit. 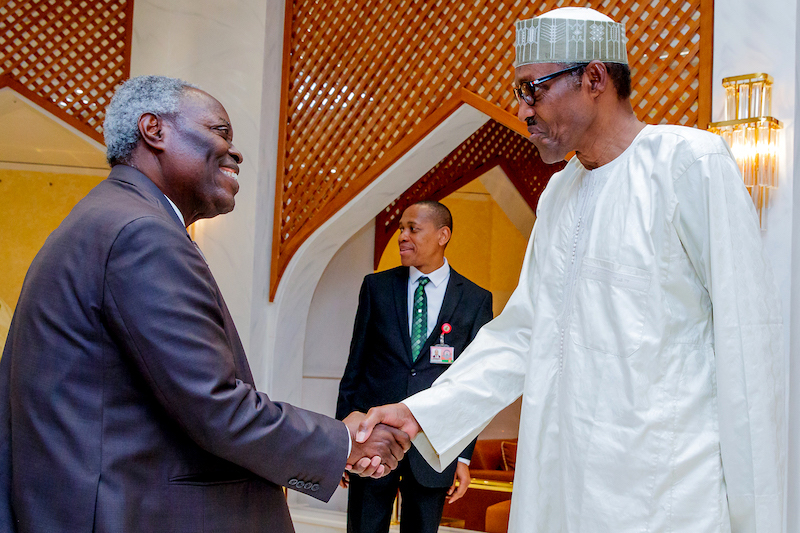 I very much appreciate it,” Buhari told Kumuyi. The president, said he was “excited a great deal’’ that the General Superintendent accepted government invitation to deliver this year’s 58th independence anniversary sermon. He recalled Kumuyi’s “intellectual achievements’’ as a scholar and university lecturer before going into full time ministry, thanking him once again for the visit. “Thank you very much,’’ Adesina further quoted the president as telling the gospel preacher. 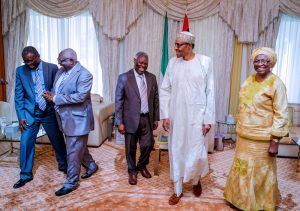 The statement also added that Kumuyi, in his remarks, said he felt honoured to be received by the president on a busy day like October 1, admonishing him to be focused and courageous to do what is right. “Please remain focused and courageous and do what is right. Not everyone will support you publicly, but we are praying for you so that your tenure will be one of progress and prosperity for the country,” Adesina quoted the pastor as saying. He added that the General Superintendent was accompanied by his wife, Esther; Pastor Samuel Afuwape, Pastor Chike Onwuasoanya and Pastor Seyi Malomo, the Chaplain of Aso Villa Chapel.